JACKSONVILLE, Fla. — In the early morning hours of Jan. 10, Space Exploration Technologies (SpaceX ) attempted a feat that had never been done before — land a first stage rocket booster on a floating barge. The landing was not a success, as the booster slammed into the ship upon impact. Elon Musk’s, SpaceX CEO, preliminary report indicated that the ship itself was fine; however, there was evidence of damage to support equipment. A full picture of the hard landing and what repairs will be needed will most likely not be available for some days as crews work to analyze data and assess the ship. A SpaceX Falcon v1.1 rocket lifted off on time from Cape Canaveral’s Space Launch Complex 40 (SLC 40) at NASA’s Kennedy Space Center in Florida at 4:47 a.m. EST (0947 GMT). Approximately nine minutes after liftoff, the rocket’s first stage would attempt to make history with the first attempt at landing on a ship. 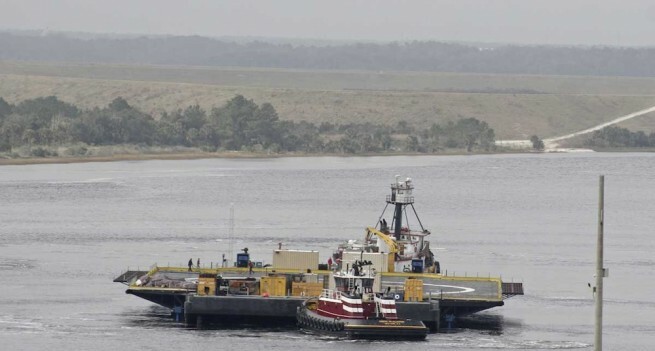 The landing was described as an unsuccessful “hard landing” by SpaceX officials. According to Spaceflight Now, the ship returned to the Port of Jacksonville with the help of a tug boat on Sunday afternoon Jan. 11. Officially titled the autonomous spaceport drone ship (ASDS), and more often referred to as “BargeX” by fans, the floating platform is roughly the size of a football field, measuring 300 ft by 100 ft, with wings that extend the width to 170 ft. In pictures, this oceanic landing pad may seem like a large vessel; however, from the rocket’s perspective this experiment is like trying to play darts blindfolded with a target 1,000 miles away. All of the pieces have to fall into place for this to be successful, and this time around they were not. During the briefing, Koenigsmann made it very clear that the company’s main goal was to launch the rocket and safely deliver the cargo to the six astronauts aboard the space station. Within the Dragon spacecraft was over 5,200 pounds (2,350 kilograms) of research experiments, hardware, and crew supplies including personal items from family members and even condiments. The crew currently has enough food to last for four to six months, but about a month ago they ran out of condiments. As anyone who has flown in space can tell you, while on orbit your tastes change and you crave spicier foods. Originally, the company had tried several attempts to land the Falcon first stage under parachute. When that concept proved to be ineffective, they switched their technique to a propulsion landing. The Falcon first stage was significantly lighter as it returned to Earth, having used the majority of fuel during the ascent phase. 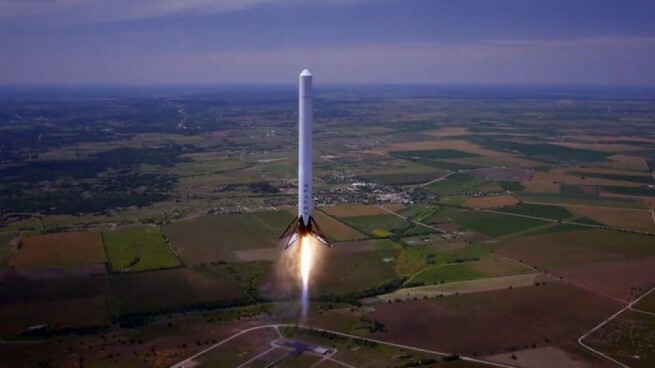 The Falcon 9 v1.1 booster is equipped with landing legs to help it “stick” its landing. The legs were added to the rocket’s first stage as part of the third commercial resupply mission in Apr. 2014, and have shown to hold up during flight. Prior to Saturday’s landing attempt, the NewSpace company has made several attempts at oceanic soft landings, with them being successful. Once they have mastered the oceanic pad landing, the company has plans to land on solid ground at Kennedy Space Center in Florida. Recently revealed landing plans, shows SpaceX intends to use Space Launch Complex 13 (SLC 13) at Cape Canaveral as the future landing site. 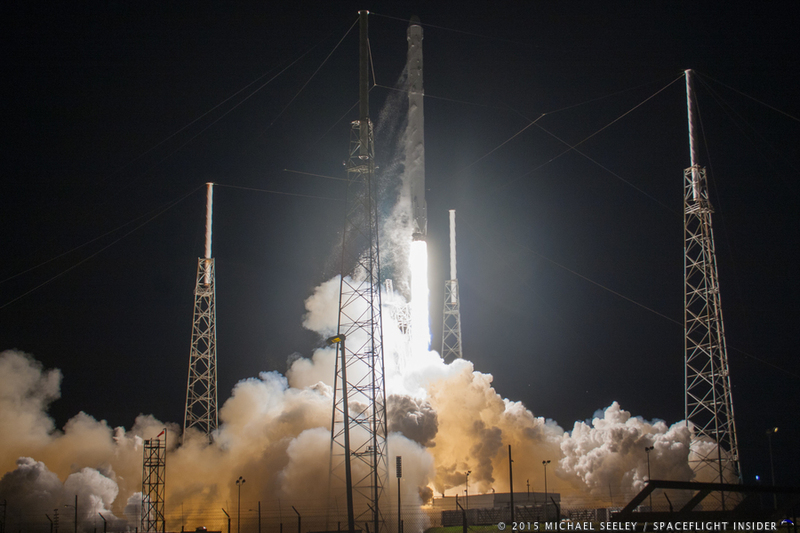 Also new to the CRS-5 flight was the addition of “grid fins” to the Falcon booster. These were added with the intent of enhancing the first stage’s precision style landing capabilities. The grid fins are stowed during ascent and deployed upon reentry to provide “x-wing” style control. Each fin moves independently for pitch, roll, and yaw. The first stage’s entry velocity is too high to a precision landing with nitrogen gas thrusters only, other surfaces (such as fins) are needed for pitch trim. Shortly after the launch, Musk tweeted a potential problem with the grid fins that could have affected the landing. SpaceX officials knew that Saturday’s landing attempt would probably not be successful, but with a full launch calendar for 2015, they have plenty of chances to get it right, and hope for a successful landing sometime this year. This experiment is a key step on the road to rocket resuability and aims to lower the cost of getting to space. You mean Falcon 9.1, right? The overhead pictures make it look much more formidable. That is one crummy little barge to be 200 miles offshore. Ugh. Practice makes perfect, and I am sure they will accomplish what they have set out to do. Goooooo SpaceX, maybe next time you can pass out cigars. What do you think is used for the hydrologic fluid? The rocket equation is going make that impossible without seriously reducing the payload to orbit. Re-certifying the stage and engines for another launch will cost so much, along with the payload penalty, that dropping it in the ocean instead of reusing it will make more money. This is a half a century old story concerning spaceflight and it seems the only reason for SpaceX to be re-inventing the wheel is publicity. It will keep those tax dollars coming in for the several years it takes to “prove” reuse is not worth the trouble. NASA did not design for cost effectiveness, they wanted safety and speedy development, money was not a limiting factor. I’m not a huge Musk fan, but this “failure” is very impressive. Hey, sorry, but there is something you’re missing.. The big difference between SpaceX and for example the ULA, is that Elon Musk is not doing this to make a profit. I’ll give you that your way of viewing this topic is probably adequate 95% of the time, but you are simply all kinds of wrong if you are going to apply that construct to this dude. SpaceX is doing really exciting stuff.. I recommend you take some time on youtube, watch one of the many of interviews Musk has given, and stay open to the possibility that profit is, in fact, the last thing on his mind. Tell that to SpaceX investors. This shell game of saving humanity while blaming NASA while going to Mars on the cheap is fairly easy to see through if you know anything about rockets. The truth can be seen by asking Elon if he would fly Sarah Brightman to the ISS (if he could). Of course he would. And that obscene spending display is what New Space is all about. I recommend you take some time off from the youtube hero worship and consider who is really paying for most of Sarah’s upcoming vacation. I will give you a hint- the ISS was largely paid for with tax dollars. And so was SpaceX. @Bardagin, given they already have a rocket capable of returning to the ocean at zero velocity isnt what you are saying implying SpaceX is not profitable? 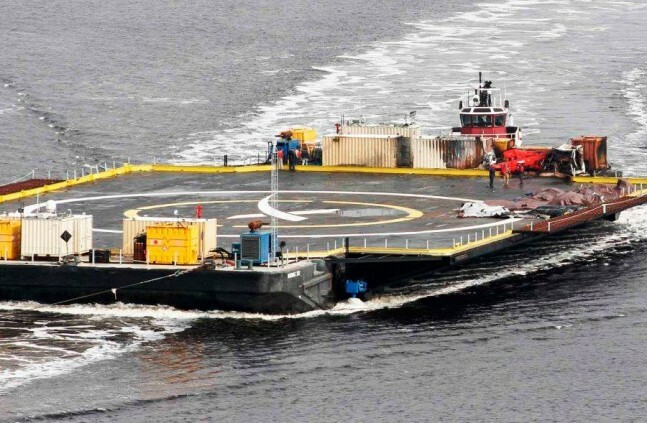 Unless you were refering to landing on land only, in which case why couldnt they just continue landing on a barge? That size of a vessel is going to bounce around in any kind of heavy sea no matter what kind of stabilizing system it has. The weather is not going to cooperate with any launch schedule. That by itself makes ocean recovery of this kind is impractical. The SRB’s were segmented steel tubes parachuted into the ocean- just about the simplest system possible and it did not break even. A monolithic (and much more powerful) SRB that did not get taken apart and then reassembled would have just broken even or a little over and made it worthwhile. But a cluster of small rocket engines each with its own turbopump and plumbing and a fragile stage slammed onto a pitching deck? That vehicle has to be re-certified before flight and that means inspecting every single part of it. Just the ships- and crews to secure the vehicles to the deck and protect them from salt corrosion will cost a great deal of money. And the whole operation will cost a fortune.